Buddha preached first sermon at Sanath - Dharmachakrapravrtana (Turning of Wheel of Law), The middle way, The four Noble truth-Chatvari Arya Satyani and The Noble Eightfold Path-Aryashtanga Marg. Buddha message spread rapidly, break all caste and class barrier. Buddha message related to our day to day life which is not carrying rituals. It is essentially concerned with all living, suffering being caught in the treadmill of desire and carving. He also spoke of ultimate nature of the existence which is sorrow, and this is the noble truth about sorrow. At the age of eighty years the Buddha approached Mahaparinirvana (final extinct) with absolute tranquility. The Buddhist doctrine saw everyone as having an equal chance to achieve salvation. The Buddha ordained men from all walks of life- fisherman, potters, barber and it criticising the Vedic emphasis on sacrifice and rituals. Above all, the enlightened one preached that salvation was in one's own hands, possible in this world, by freeing oneself from desire. A few months after the Mahaparinirwana a great meeting of monks held, popularly known as the first Buddhist council, took place at Saptaparni caves near Rajagriha. The teaching of the master were codified for the first time and the Vinaya Pitaka and the Sutra Pitaka were compiled. The second council that took place at Vaishali about a hundred years later, where the main point of difference between the orthodox believers and the progressives seems to have been on the question of attainment of Buddhahood, and the third one held at Pataliputra under leadership of The Great Mauryan ruler, Ashoka. In this meeting he decided to spread the Buddhism beyond India and for this purpose he sent his son, Mahendra and daughter Sanghmitra to Srilanka. Ashok ruled between 268 to 239 BC, a remarkable emperor known for his fierceness. He himself converted into Buddhism after the bloody victory at the Kalinga war where thousands of innocent victims were killed, this tremendous loss of life proved to be a turning point in his life. He repented and decided for no further of campaigns of conquest. He became an ardent follower of Buddha, and started to popularize the principle of dharma, justice and non-violence which is associated with Buddhism. He took a lot of steps for spreading Buddhism throughout the vast territory. 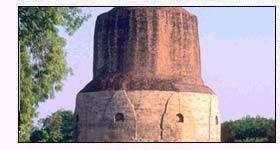 After Mahaparinirvana of Lord Buddha, different schools of thought took place around Buddhism. As a result intense debates started in the Monastic order. The movement arose out of ideas that had been taking root over along period in a number of sects in southern and northwestern India. These Buddhist called Mahayana, 'the great vehicle' and they described the older one contemptuously as the Hinayana, 'the little vehicle'. Mahayana philosophy present it as ferryboat that would take humanity across the sea of suffering and rebirth to the shore of Nirvana. Mahayana school focused on Boddhisattva in comparison to Arhat. The arhat to be regarded as a spiritual aristocrat on the path to a purely personal salvation, while Boddhisattive was one who postponed his entry into Nirvana until he could lead all other beings to Nirvana as well. In Sri Lanka, the school of the the elders held its own against the Mahayana tide and was known as the Theravada. During reign of powerful king Parakkramabahu (1153-86), Sinhalese monk took Theravada to Burma. A century later Dharma was established in Thailand, while Buddhism spread in Cambodia and Laos during 14th century. Through North India's Mahaviharas (monastic universities), Buddhism spread China by way of traders as early as 50 BC, and then move to Korea, and later move to Japan in the 6th century AD. During mid 12th century Zen Buddhism was introduced in Japan, due to hard rules & regulation it did not attract a lot of followers. Zen philosophy is the Mahayana theory of universal Buddhahood. Zen is Japanese for Chinese Ch'an, which is derived from Sanskrit dhyana (meditation). In the 8th century AD Santarakshita from Nalanda Mahavihara went to Tibet to spread Buddhism. He faced a lot of problem from local people and forced to return. After that Acharya Parmasambhava, the great Buddhist Tantaric Master from Kashmir, eastablished Buddhism in Tibet. Tibetan accoladed him as Guru Rinpoche. Around 8th century a new school of Buddhism, Vajrayana (Vajra meaning thunderbolt)-anew school of Buddhism arose. This is described as the 'completed Dharma' because it absorb all principles of Theravada and Mahayana and also embaraced tantra. After Tibet Buddhism entered into Mongolia and Mangols converted it into one of the gentlest faiths. Buddhism where gone it integrated into the culture of each country, from island of Japan to the landlocked mountains of Tibet and Mangolia. A lot of differences arose between Hinduism and Buddhism practices like ahmisha, puja, worship and vegetarianism. In 10th century Turkish invasion started and a further blow to Buddhism in India and the major monasteries of India wiped off the map. After that Buddhism never came as major force in the land of Sakyamuni's birth. During modern India, Buddhism survive only among the peoples of Ladakh, lahul, Spiti, Kinnaur in the Western Himalayas and the Monpas, Shedukpens, Lepchas, Bhutias and Chankmas in the eastern Himalayas. In late 1950s and 1960s under leadership of Dr. B. R. Ambedkar many depressed class people change their religion to Buddhism. The flight of his Holiness the XIVth Dalai Lama from Tibet in 1959, led to the eastablishment of his government in exile in Dharmasala in North India, where there is a thriving Tibetan Buddhist community. In early 19th century many scholars, administrator taking an active interest in Buddhist philosophy. The works of Col Henry Olcott, the American co-founder of Theosophical Society, and Edwin Arnold's poem, 'The light of Asia' published in 1879, further spurred this intellectual curiosity. Travellers who had been to the east returned to Europe and North America immersed in Buddhist philosophy. Many Asian teacher arrived in Europe, often on teaching visits. From monasteries of hillside to arid moonscape of Laddakh and among rice fields in Thailand, the same prayer everyone recite. Lord Buddha message inscribed on prayerwheels in Mongolia, tangkha paintings in Tibet and palm leaf manuscripts in Sri Lanka. Gautam Buddha still lives in his teaching after 2500 years. After Mahaparinirvana of the Buddha, Buddhist literature began with what Lord Buddha said during his life time. Anceient Buddhist literature was in Pali Language. Anceient Buddhist message like Vinaya & Sutra Pitakas began as oral literature. 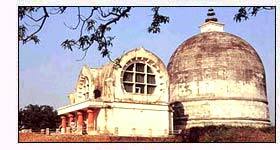 During first council of monk at Rajgir after death of Buddha, his two disciples recited his message from memory. Upali called the Vinaya Pitaka and Ananda the Sutra Pitaka. 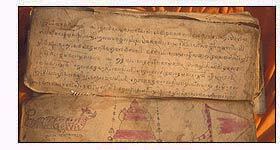 Earliest Buddhist message consist the Tripitakas, which includes Vinaya, Sutra and Abhidharma pitakas. These writing, with each Pitakas divided into a number of books and further subdivided into commentaries and abstracts. Vinaya Pitaka deals with rules of monastic order, where as Sutra pitakas deals with the Buddha's teaching of ethical principles and Abhidharma pitakas was a collection of abstract Buddhist philosophy which elaborates the metaphysical principals. Dhammapada, or the steps of Dharma, is a book which connect people easily to preaching of Lord Buddha. Buddha teaching ranging from happiness, anger and carving to Enlightenment, these can easily memorized by young monks and believers of all ages across the world. In Theraghatha & Therigatha bhikshus and bhikshunis describes in poetic form how their life changed after following Buddhism. Many others poet also described about Buddha message. Bhikshus in Theraghata are often spiritual and meditative with beaytiful passage on nature while the nun sings about joys, sorrows and complexities of the life. Therighatha about earliest women's writing in India and included about Amrapali, the courtesan of Vaishali who became a bhikshuni. Most of children growing up to listen Jatakas stories which is popular till today as folk tales. Jatakas means 'birth story' and about former incarnation of the Buddha. Jatakas story tell about moral and end of each story identified hero as Bodhisattva. The tales are carved on the gateway of stupas of sanchi and Bharhut among other sites, and also painted in the Ajanta Caves. Millindapanh is about question of Milinda, which was written in Sanskrit language in India in the beginning of christen era. The book is a dialogue between Milinda (Menander), a Greco- Bactrian King of Sakala (modern Sialkot in Pakistan) and a Buddhist monk, Nagasena. Millinda after debate turn into follower of Buddha. The most famous stories of Buddha are Lalitavistara of the Sarvastivandin sect and Buddhancharita wrote by Aswaghosha in the 1st century AD. The three great Srilankan verse chronicles- Dipavamsa, the Island Chronicle; the Mahavamsa, the great Chronicle; and Culavamsam the lesser chronicle. Many other added contribution in their work constantly. Buddhist literature is a contribution of many monks and nuns who preserved these all manuscript with care and devotion which is a great collection and we can hear great till today and it shows a great civilization of the world.